Community advocates are requesting your participation in the Oct 8th City of Sunnyvale Council 7:00pm Meeting. The battle is still brewing in Sacramento over the future of the California Environmental Quality Act, known as CEQA. Political pundits correctly predicted it would be the most bruising fight of the session. Many large companies in Silicon Valley have found themselves on the same side as oil refineries and big-box stores which want to gut CEQA. Every major environmental organization in the state, including the California League of Conservation Voters, Natural Resources Defense Council and Sierra Club, is on the other side. Recently, Senate President Pro Tem Darrell Steinberg, D-Sacramento, offered a solution in the form of SB 731 that would force both sides to make concessions. It was dismissed out of hand by those who would like to see CEQA destroyed. Click here for the full Mercury Article. 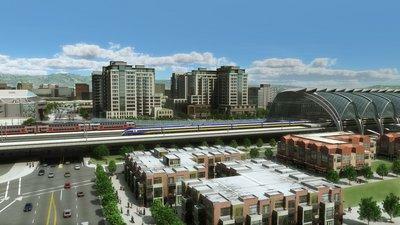 The California State Supreme Court will hear the case of Neighbors for Smart Rail (NFSR), a coalition of Westside homeowners, community groups and businesses, against Phase II of the Expo Line. NFSR alleges that the environmental documents for the line were improperly compared because it based traffic on future projections instead of the current status on the street. The Fremont Union High School District will have to re-evaluate its plans for nighttime football games at Monta Vista and Lynbrook high schools.